Roger Winford Ogle, 70, a longtime resident of Cleveland, Tennessee, passed away on Tuesday, October 9, 2018, at his home surrounded by loved ones. Roger was born in McMinn County, Tn. He and Mildred were members of Philadelphia Baptist Church. Roger had worked for American Uniform for more than 18 years and for Peyton’s Distribution for almost 13 years. He was dearly loved and will be deeply missed by all who knew him. He was preceded in death by his parents, Eli S. Ogle and Maebell Rose Ogle. 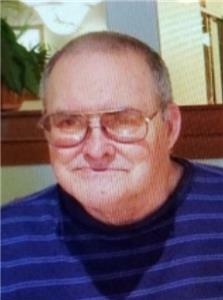 He leaves behind to cherish his memory, his wife of 48 years, Mildred Swafford Ogle, children, Tina (Jeff) Humbard, Tonya Blair; grandchildren, Ryan (Haley) Blair and Kierstyn (Logan) Wolfe; siblings, Dorothy Morrison, Peggy Phillips and Ollie Ogle, as well as several other extended family. The family will receive friends on Friday, Oct. 12, from 2-4 p.m. at Philadelphia Baptist Church. The celebration of life service will be held at 4 p.m. following the visitation. Burial will be held at Clear Springs Baptist Church Cemetery in Athens, Tn.